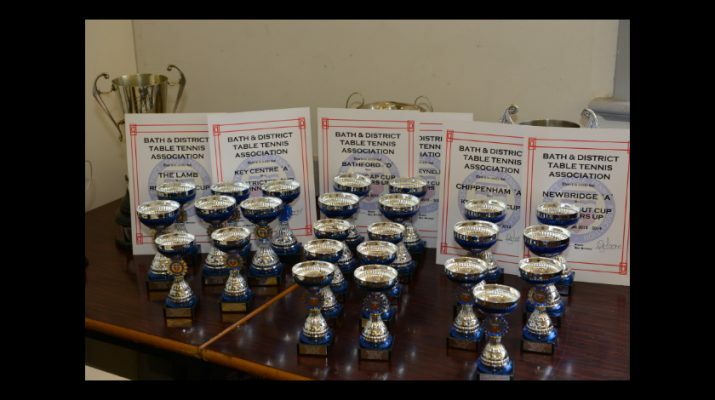 Cup fever hit Bath on w/c 14th January with many teams competing in two competitions. It gives the chance for captains to assess their squad for the run in towards the end of the season or to put all of their efforts on lifting some silverware. Restricted Cup – this is for Division One and Two teams. Games are up to 11 and best of 5, just like a league game. Great chance for players to challenge themselves against different players. The Division One D team were too strong for their E team teammates. Greg Burridge and Julie Taylor secured maximums whilst Lee Bailey picked up one win for the hosts. This Division One clash was a close run match with the scored tied at 4-4. Up steps Ian Clark to beat Chris Toft in the fourth set to progress to the next round. A straight forward win for Richard Wickham’s Division One side, however the Division Two side did take three matches to 4 sets in a challenging tie. There was another dominant outing from a Division One team with Keren Millard, Derek Landricombe and Phil Ware winning their games. Two Division two promotion rivals went head to head in the cup, with good support from their non playing team mates. Ian Pennington led the way for the away side as they experimented with two new players. 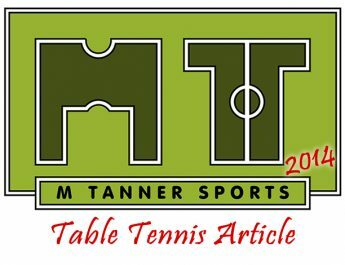 Handicap Cup – open to all three leagues to enter. These games are up to 21 points and best of 3 games. Each player is given a handicap, for example a Div Two player maybe on 10 whilst a Premier player maybe on 0, so the Div Two player will start 10-0. The aim is to give lower ranked players more of a chance to compete. Division One met Premier League in this match and the Premier team came through this tough test. Young Josh Kashdan continued his fine league form into the cup tie despite having a -5 handicap. In a clash of Division Two teams the home side triumphed with Glen Avery and Greg Rowland gaining maximums despite a slight point’s deficit. The Premier team just edged past their Division One opponents. There were a lot of five set and deuce games, but it came down to the last game, Jim Stevens vs Ian Clark, with Jim winning the final set. The home side exercised their right to end the match early as their Division One counterparts couldn’t force an away win. Yatton’s B side fared better in the cup as they managed to overcome Division Two’s run away leaders at home. Alistair Hubert was unbeaten for the home team whilst Nigel Pedley was the only scorer for the away side. Premier beats Division One in a close tie which was settled with Ali Pearson’s win in the final match. It was a similar story for Key Centre’s B side as the Bath Invader A side proved too strong on the night despite having to win large handicaps. The Invaders B team won by a more convincing margin but were made to work hard. On the crucial final sets games the Invaders managed to win 3 of the 4 of them to settle the tie. All three leagues are back in action w/c 21st Jan, best of luck to all players involved. Don’t forget if you would like to give Table Tennis a go then get down to the Somerdale Pavilion in Keynsham on Friday night 6pm-9pm for Keynsham TTC training night!